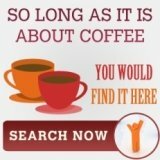 Is it possible for there to be a feature of a coffee maker that does not get mentioned in your standard reviews of coffee makers ? 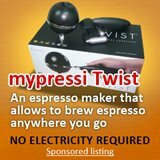 Surely, when consumers document their opinions on the espresso coffee machine they have recently purchased they will cover all the important elements in that coffee machine’s review? It appears not to be so. When I think of reviews of coffee makers I immediately form a picture in my mind’s eye of the elements of the coffee maker that would interest me. Does it have a glass carafe or a thermal carafe? 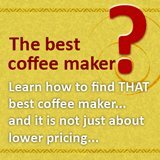 Does the coffee maker clean easily and is it easy to operate? Does the manufacturer provide a guarantee and are parts readily available should I need to replace something? 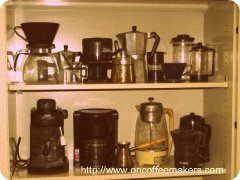 Is it easy to make coffee with this coffee maker is a critical element of the many reviews of coffee brewers I read. However, none of the reviews of coffee makers will refer to the distribution of hot water in the filter basket assembly. This might seem an unusual thing to mention but is, in my opinion, a critical element of what would constitute an attempt to identify the best coffee maker. Sure there are many coffee makers on the market, but which of them will advertise the hot water distribution factor in their promotional material? This is not regarded as a standard promotional topic and yet it should be. The distribution of hot water via the spray head in the filter basket group is vitally important to the quality of the coffee being brewed. The industry standard is a five hole cluster in the spray head. Any good coffee maker, Delonghi would be a good example, has a five hole cluster in the spray head. The Moccamaster from Technivorm has been launched with a nine hole cluster in the spray head. This must lead to a better and more efficient distribution of the hot water in the filter basket group which in turn means the coffee grounds are better saturated. This means a far more efficient use of the coffee grounds located in the filter basket and that also means better value for money. 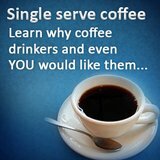 Hardly ever is this mentioned in reviews of coffee makers. That should be reconsidered as the quality of the coffee brewed as well as the efficient use of the coffee grounds are central issues as far as value for money is concerned. Surely we are interested to know whether the coffee grounds we place in the filter basket are used efficiently. I sure am.